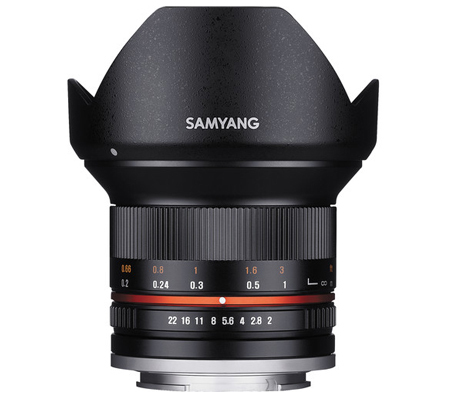 The black 12mm f/2.0 NCS CS Lens for Sony E-Mount (APS-C) from Samyang is a wide-angle prime lens designed specifically for use with APS-C format image sensors. 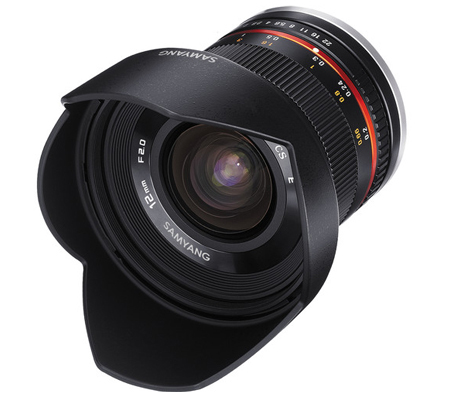 Providing a 35mm-equivalent focal length of 18mm and a broad 98.9° angle of view, this lens is well-suited for architectural, interior, and landscape images. 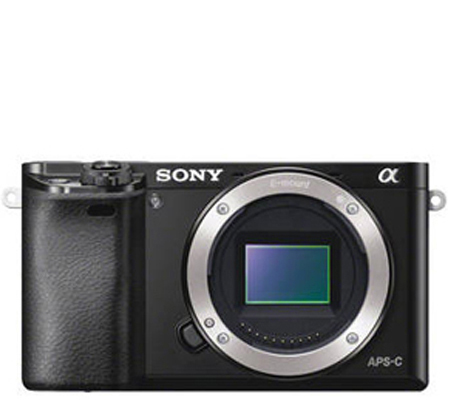 Its fast f/2.0 maximum aperture is beneficial to working in low-light conditions. 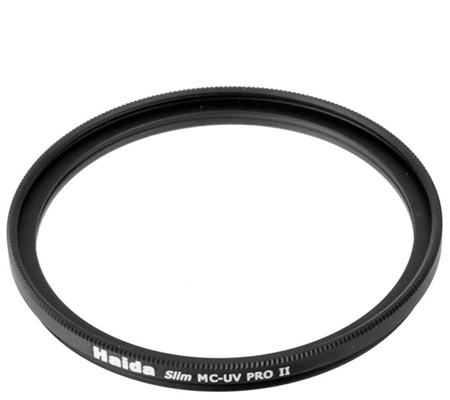 One aspherical element, one hybrid aspherical element and three elements made of low dispersion glass have been incorporated into the optical design to minimize chromatic aberrations and distortion for sharper, high contrast imaging throughout the frame. 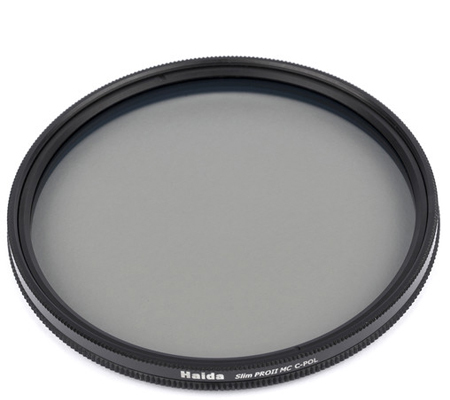 Additionally, a Nano Coating System (NCS) has been applied to the lens elements in order to reduce surface reflections and prevent lens flare and ghosting. 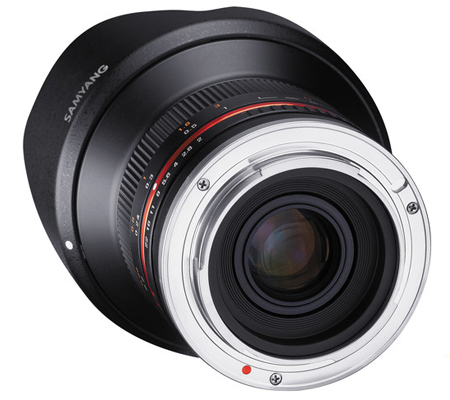 A six-blade aperture closes to create a near full circle and the lenses minimum focus distance is 7.9". 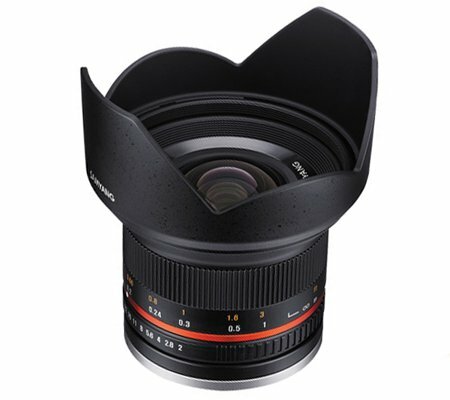 The lens barrel is built with aluminum alloy with a 67mm diameter filter thread and includes a removable petal-style lens hood. 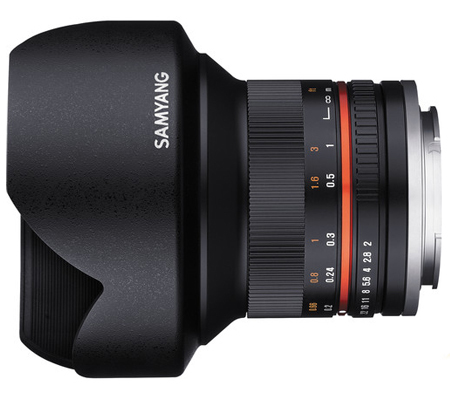 Wide-angle prime lens provides a 35mm-equivalent focal length of 18mm for comprehensive wide-angle applications including architectural and landscape photography. Three extra-low dispersion elements, one hybrid aspherical element and an aspherical element reduce chromatic aberrations and distortions in order to produce sharper images from the center to the corner of the image frame. 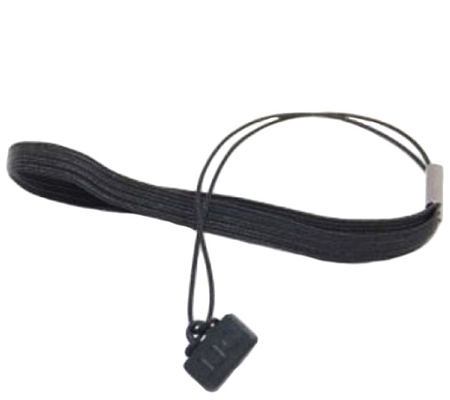 Durable aluminum alloy build and included removable petal-style lens hood. Box Dimensions (LxWxH) 4.9 x 4.9 x 4.7"